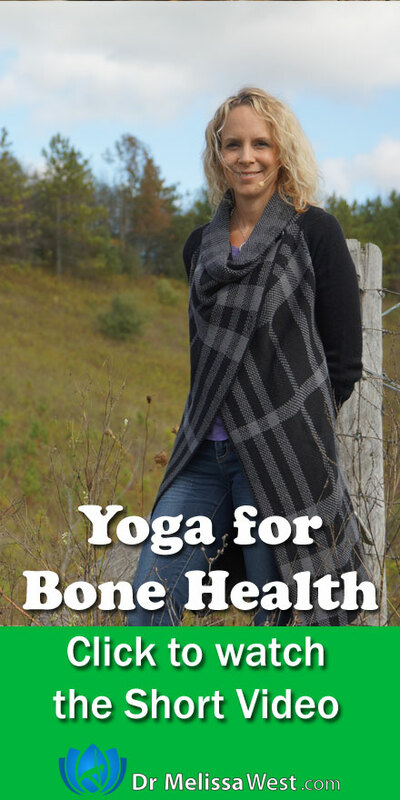 Is yoga also a way of maintaining healthy bones as we age? Your asanas (or yoga postures) create extra load (or weight) that creates more tension from tendons pulling on bone. The more tension, the more new bone your body will make. Yoga also as you know from our class on flexibility, has a lot of stretching, which research on bone density now shows also stimulates new bone growth. For years research has show that new bone growth is stimulated when you engage in activity that puts stress on your bones. These have classically been referred to has weight-bearing exercises or weight resistance exercises.